I was so sad that this jumper didn't work out, as I was absolutely in love with the color. The fabric is nice quality as well. however, even ordering a size up, it was still too small, and somehow the cropped leg and length of the torso just looked totally off. don't think sizing up again will do the trick. 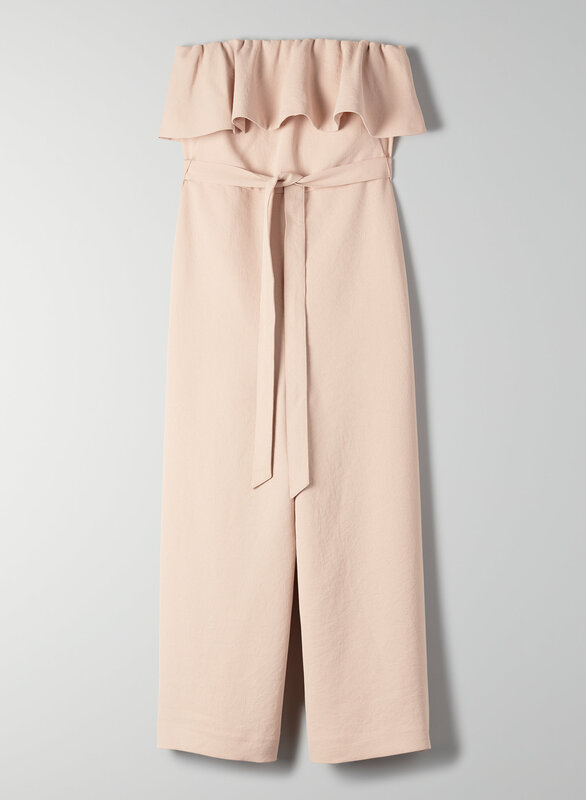 Gorgeous jumpsuit. Received many compliments on it. Fits like a normal item of clothing, unlike many of the clothing at Aritzia which is not sized for the average person. I got both the dune blue and the white in a size 2 and I’m 5’8” ; they fit perfectly. and I am so excited to wear them out all summer!